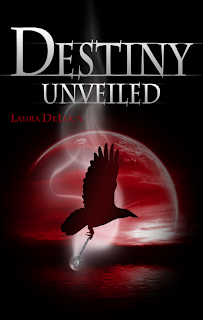 We are today's stop on the Laura DeLuca Blog Tour. If you haven't read any of this author's Destiny series and like stories about witches and warlocks, check them out. We have excerpts for both books and our review of both. "Rise Darron," the leader commanded. And as he spoke, he lifted the hood from his head. "Rise brother of the Dark Coven." Laura “Luna” DeLuca lives at the beautiful Jersey shore with her husband and four children. She loves writing in the young adult genre because it keeps her young at heart. In addition to writing fiction, Laura is also the sole author of a popular review blog called New Age Mama. 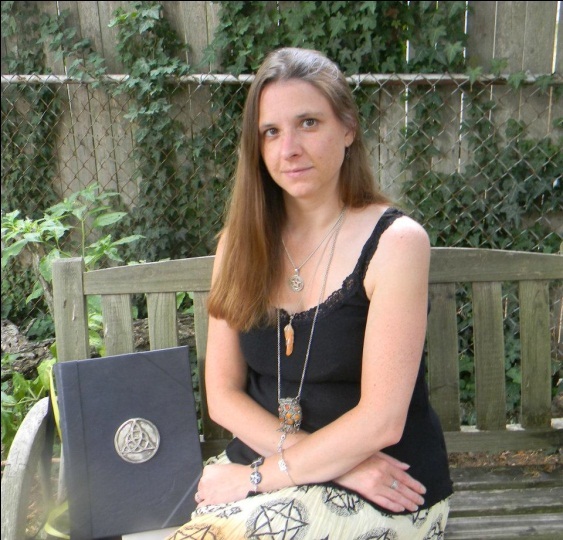 She is an active member of her local pagan community, and has been studying Wicca for close to eight years. Visit her on her websites at http://authorlauradeluca.blogspot.com or http://newagemama.blogspot.com. I've always had a fondness for stories about witches. Perhaps it was from my experience playing a witch in an elementary school production of Snow White, but I frequently chose to dress as one for Halloween and picked up many books featuring all types of witches. As I grew older, I realized there was more to witches and witchcraft. Besides the costumes, there is a rich history and misunderstanding about them. I also became interested in learning about Wicca, the craft, and the natural connection to the earth. Author Laura DeLuca brings her own knowledge of Wicca to her Destiny series and it is evident in the way she respectfully treats her characters, their actions and powers. Sometimes Wicca is not understood or used as a gimmick in some of the stories I've read. Not here. Gabriella and Darron are two smart witches attracted to each other. Gabriella has forgotten how to use her powers and with Darren's help, she begins to remember, embracing her heritage before an evil warlock, Richard, can cause them harm. I was pleasantly surprised by Destiny: the rich characters, the magic itself, the spells (which are included, other stories seem to take the easy way out and only allude to a spell being chanted), the supernatural powers and ties to nature, and didn't see some of the twists coming. Speaking about surprises, there are plenty in Destiny Unveiled. Gabriella and Darren have graduated high school and she finds her family growing. A new stepbrother, additional mysterious characters, more magic ensues as Gabriella finds out more about her family and about herself. 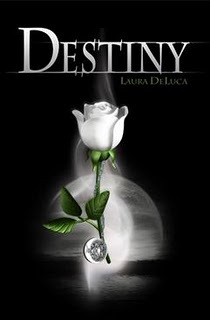 Emotional, absorbing and highly addictive, Destiny Unveiled greatly expands upon the magical world Laura DeLuca established in Destiny. Vivid characters, both main and secondary, truly scary bad guys, conflict galore, the Destiny series has claimed a spot in my Top Ten Favorite Witch series. Cover comment: Both covers work for me. Ominous, yet the art work conveys what each story entails in a classy way. I even like the fonts but think the author's name should be prominently displayed and made larger. Book source: I received promotional copies from the author in return for my honest reviews during blog tours.